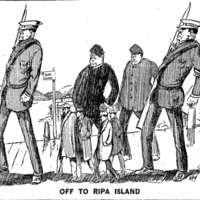 This cartoon from the Maoriland Worker newspaper shows passive resisters being marched to Ripapa Island in Lyttleton Harbour. 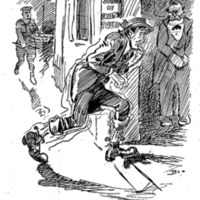 Newspaper cartoon showing a 'shirker' seeking refuge in a religious organisation in an attempt to avoid conscription. 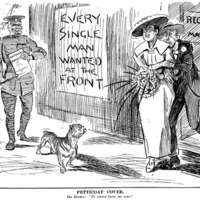 Observer newspaper cartoon. 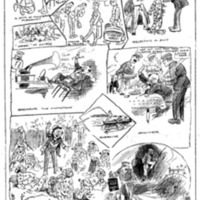 The cartoon shows a conservative newspaper's view of Paddy Webb's incarceration.